A difference in colours where the sapwood meets the heartwood. Fine ring turning & stepped base. 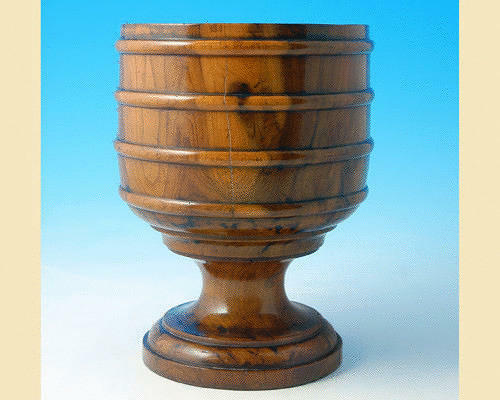 This beautiful Wassail Bowl is made from solid Yew & has pole-lathe marks inside, it also has a fine colour & patina which you would expect from it's age.